The FiberCoating used for the manufacturing of these seats is brand’s patented coated protection on soft foam, which makes it durable for both indoor and outdoor use. 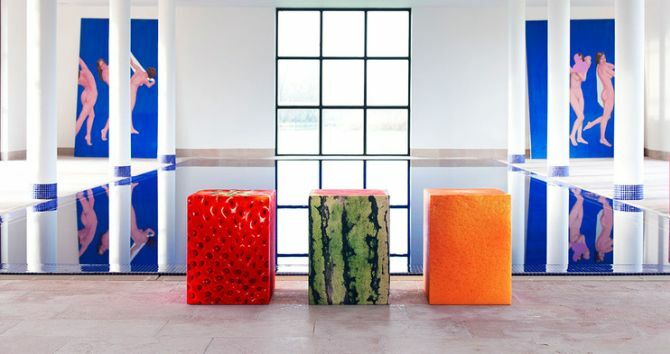 The coating also makes it water-resistant, so the furniture pieces can also be used at a poolside. All these seating units are handmade by the brand’s in-house team, as well as in collaboration with creatives from all over the world. 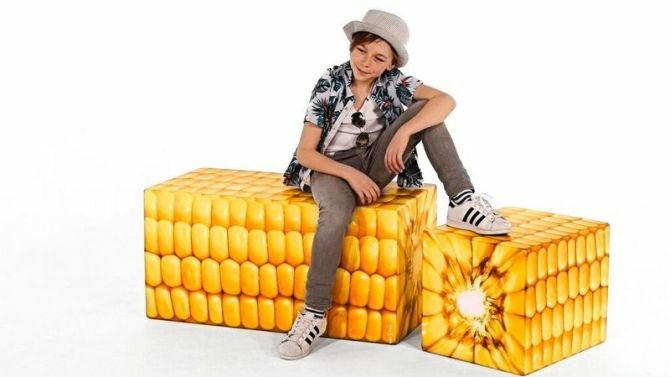 Each piece boasts real-life images on its cube-shaped design that makes the seating unit look like anything from a block of marble to a square or rectangular ear of corn. Concept behind ‘the creation of ‘Sit on Everything‘ is that the brand can create any type of seating that one could imagine. Taking over four years to develop, the photo-finished furniture is so good that from a distance one would not be to figure out that whether it’s a realistic piece of imagination or just a mere seating unit. The company is currently crowdfunding through Kickstarter and it’s 16-percent of the way to its $33,880 goal. 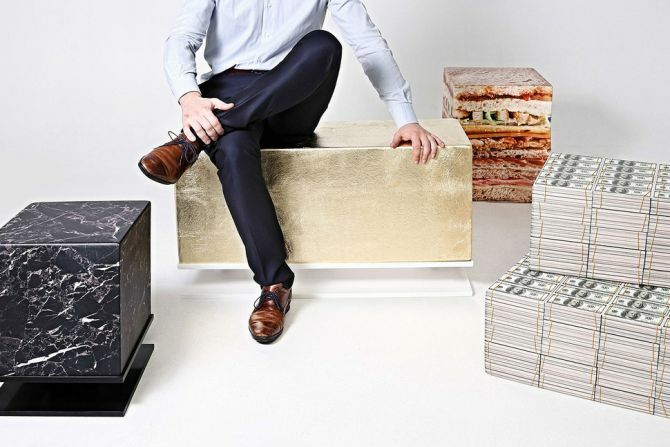 A pledge of $190 can help you secure one of these pieces of artistic furniture from Benj&Soto.